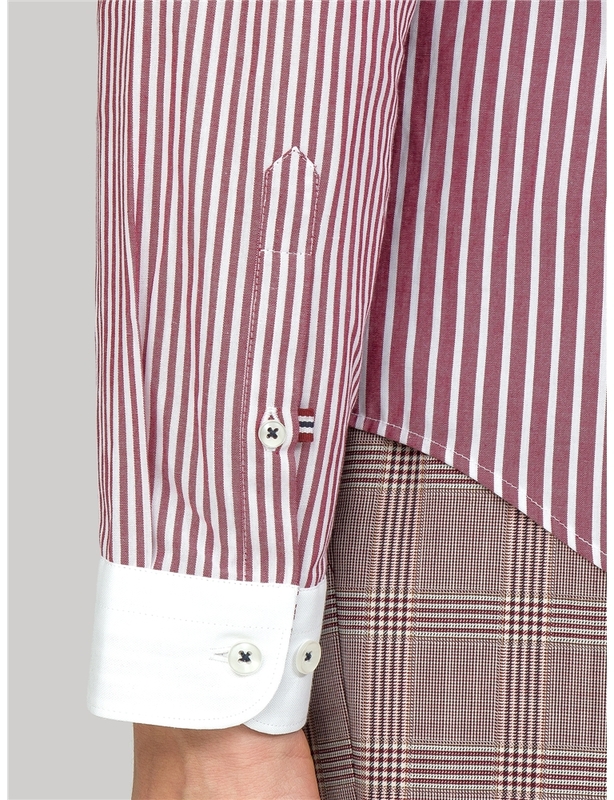 Introducing the Bermondsey; a love letter to the revitalised areas of traditional London style. 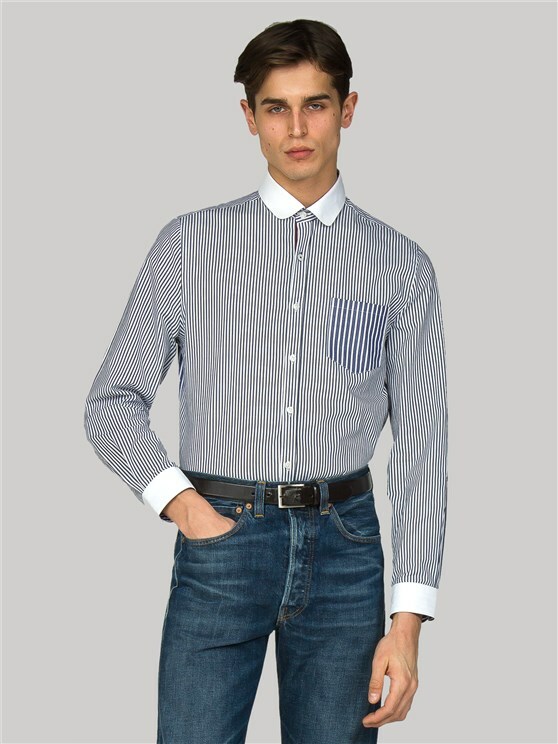 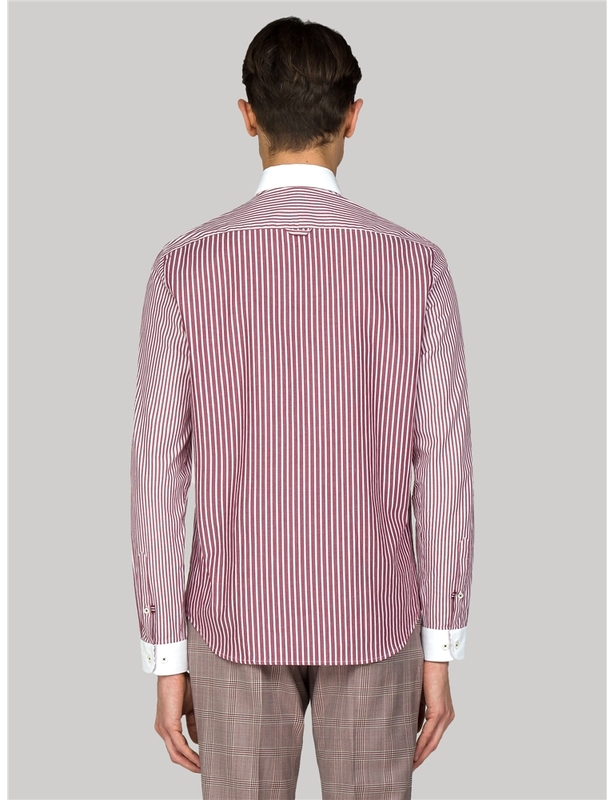 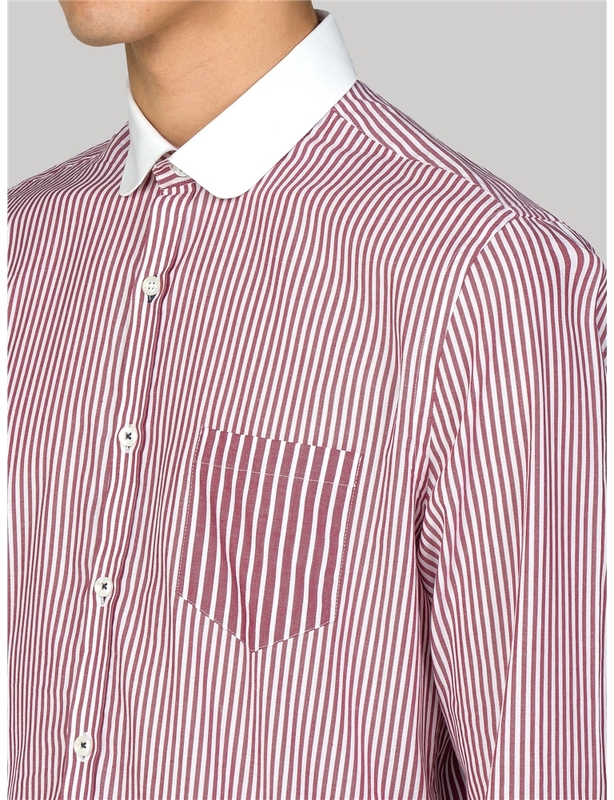 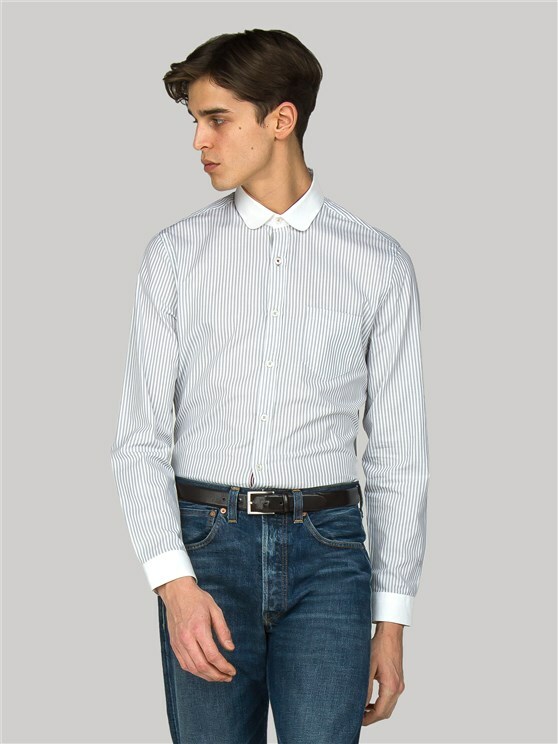 This distinctive men's berry striped shirt features a traditional penny round white collar and cuffs. 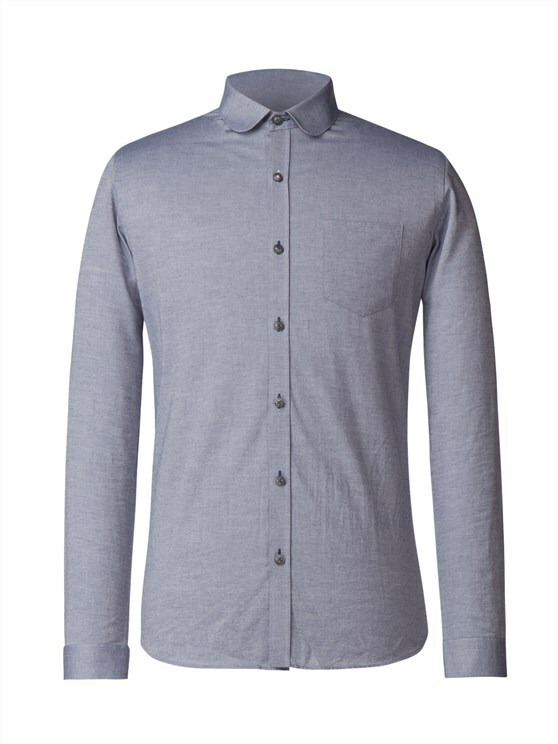 Made of 100% cotton, with a general chest pocket, a slim fit and easy care, machine washable fabric, this men's shirt is a versatile and stylish addition to any suit. 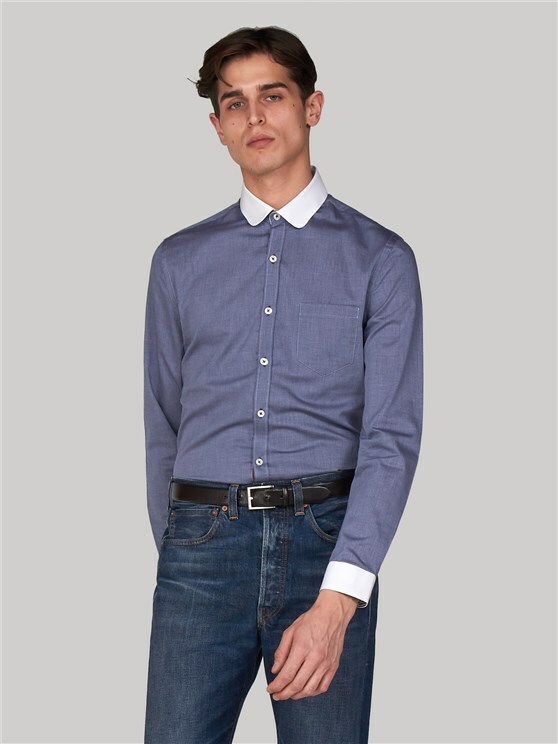 Our spring statement collection for 2019 is built to be refreshing, eye-catching and unique. 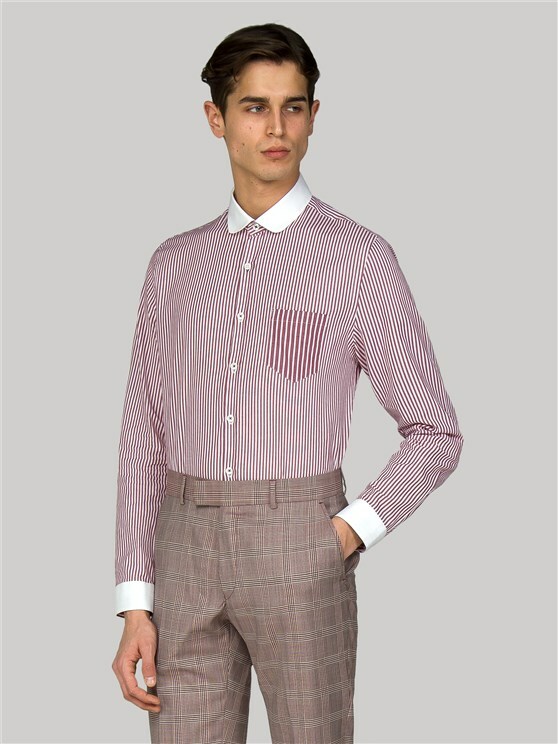 With bright satin linings and the refreshed attitudes of the new season, this collection of men’s new season clothing is designed to catch the eye and raise the spirit.